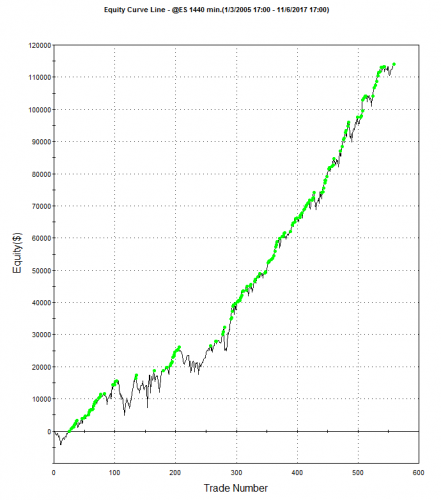 The Chazaq 35K ES 4 Portfolio is based on multiple S&P 500 e-mini strategies that will hold overnight positions. The recommended starting account should be $35k. 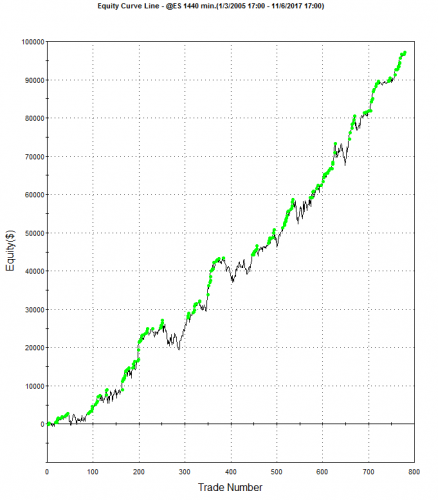 This unique portfolio approach diversifies market conditions to take advantage of trends and slower choppy market conditions by using Four different strategies, which have been combined into a single Portfolio. This unique system trades multiple time frames for analysis (daily, monthly, and 60 minutes). 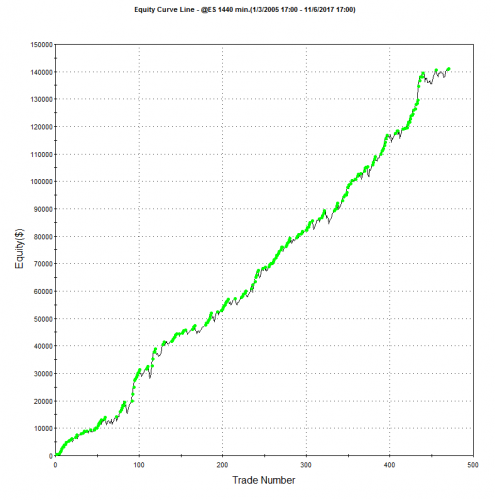 The system entry rules use custom indicators that intuitively adapt to daily market conditions (volatility and liquidity), thus effectively maximizing profit potential and minimizing risk. Equity Curve for the ES-1 trend strategy. 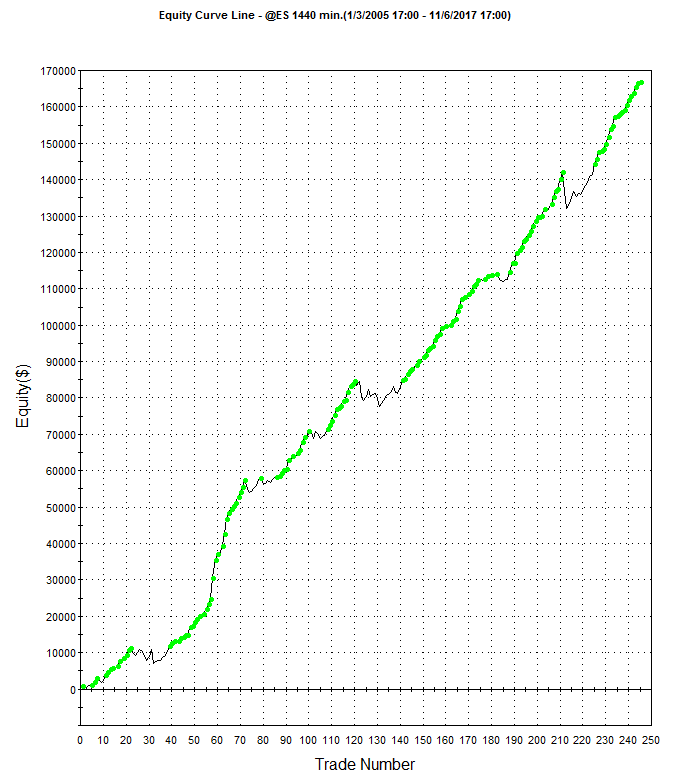 Equity Curve for the ES-2 choppy market strategy. 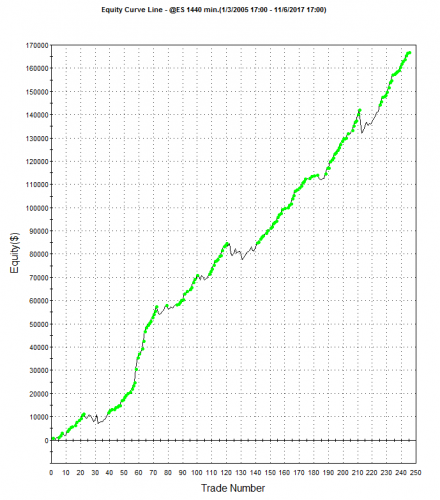 Equity Curve for the ES-3 trending market strategy. Equity Curve for the ES-4 sideways market strategy.